I love Halloween! Not the creepy, haunted house, real-looking zombies Halloween but the super cute, hand-out candy to two year old bumblebees kind. Yes, I know- I’m a baby but I’m fine with that! So when Chex reached out and offered a Halloween Party in a Box I thought why not? 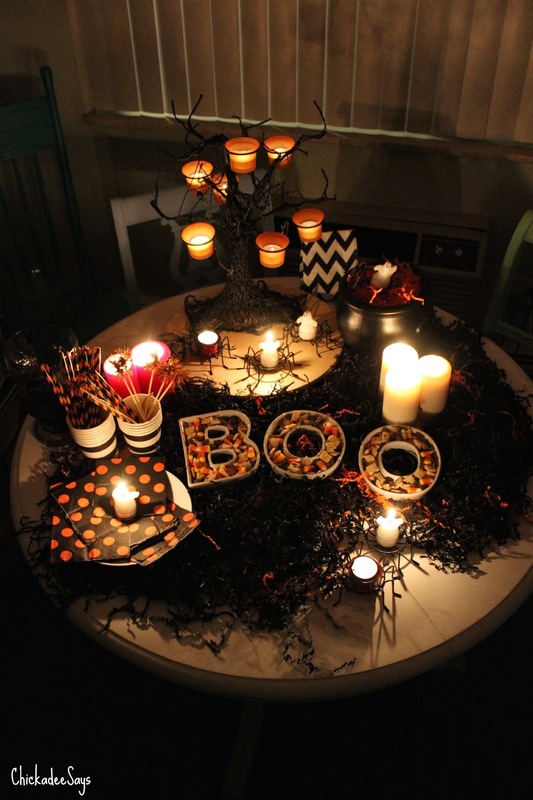 I love how easy Chex mix is to throw together for a delicious snack to have out for guests, and I knew Chex’s party ideas wouldn’t be too scary for my nightmare-prone self. Also included, of course, is a jar of Chex mix and recipes so you can create your own delicious Chex snacks! 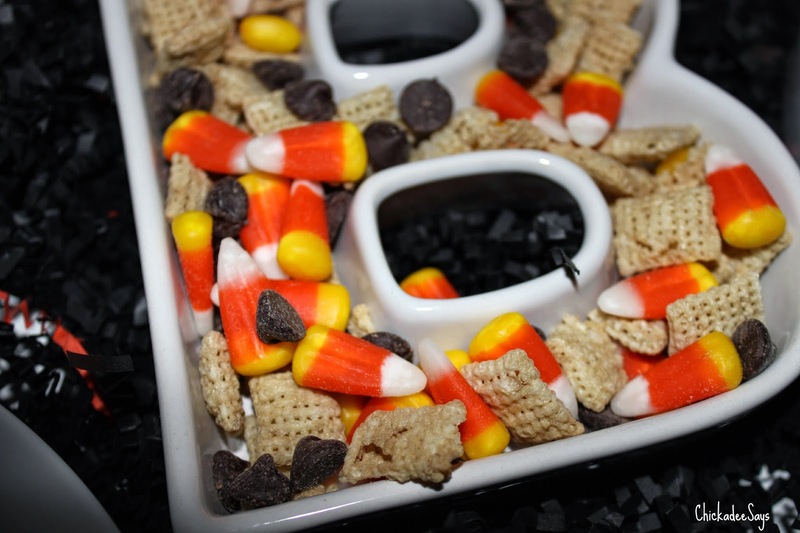 I was bad and didn’t use one of the recipes, even thought they have amazing names like Deviled Chex, and just tossed the cereal with candy corn and dark chocolate chips for a festive sweet treat! 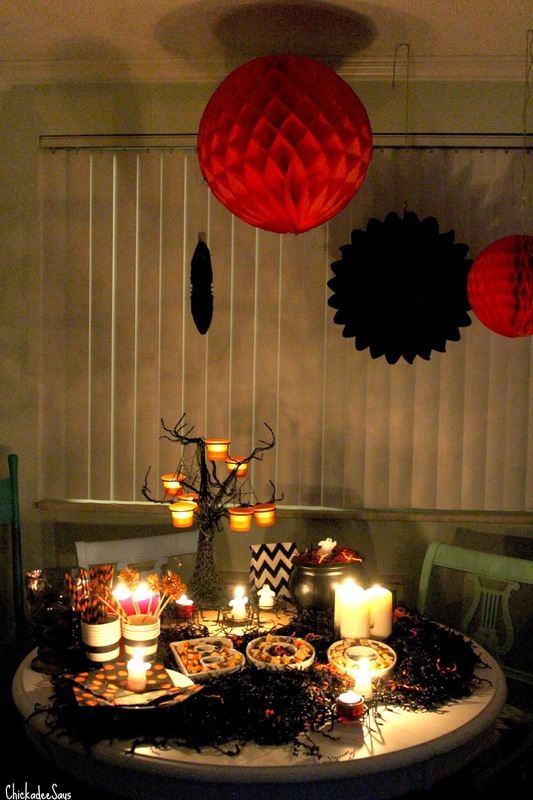 To add to the fun is an assortment of honeycomb decorations in black and orange. I pinned these from the ceiling and set up a fan so they spun! 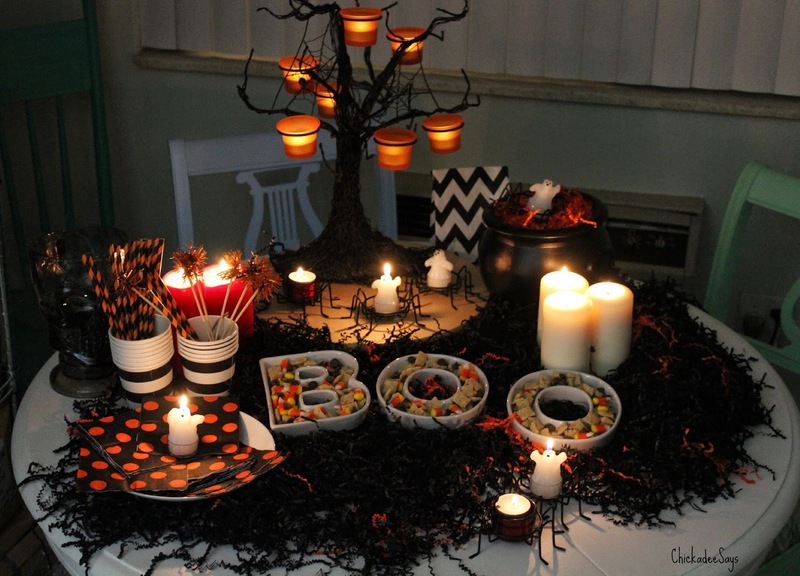 I also added my favorite spooky tree and a plethora of candles, then turned down the lights to set the mood! 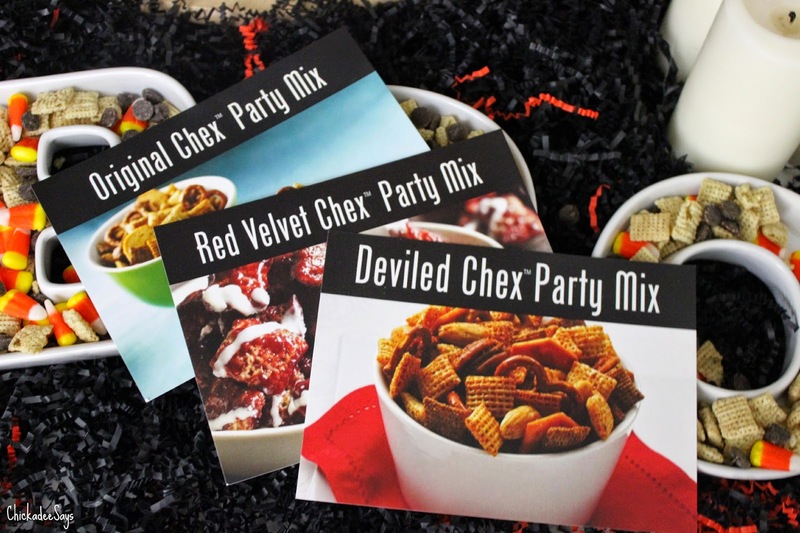 Do you want a Chex Halloween Party in a box of your own? Enter below in the FLASH giveaway Rafflecopter for a chance to win one of two party boxes! I was compensated with product, payment or both in order to facilitate this post. All opinions are my own.